In the article I’m going to tell you about B-Ionics in the Reef Aquarium. When used correctly, ESV B-Ionics Calcium Buffer System allows you to control alkalinity and calcium levels with precision while adding essential trace minerals. Man-made saltwater, and even ocean water, loses elements as it circulates through a reef tank. Calcium and essential trace minerals are absorbed by corals or lost in the protein skimmer, and dKH, or alkalinity, may fluctuate. 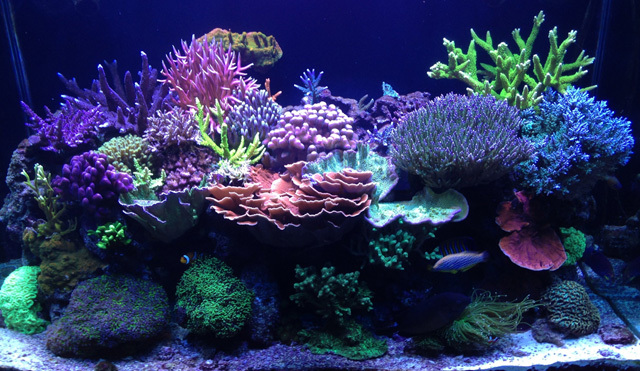 Ideally, a reef tank should maintain alkalinity between 9 and 12 dKH, and calcium levels between 425 and 465ppm. ESV B-Ionics Calcium Buffer System is a two-component liquid additive which requires no pre-mixing (unless you are purchasing the more economical “concentrate” which needs to be mixed with R.O. or deionized water.) B-Ionics puts back all necessary minerals (calcium, magnesium, strontium chloride, potassium iodide, etc.) that are found in natural ocean water and are used up in a closed reef system. 1 What Do B-Ionics Do? Part 1 of the two part system raises the tank’s alkalinity. In doing so, it lowers the calcium level. Part 2 raises calcium, but lowers alkalinity if used by itself. So, the first thing you will need to do is test your water for alkalinity and calcium. If both are too low, you will need to add equal amounts of B-Ionics parts 1 and 2. If calcium levels are high but dKH is low, add only part 1 until alkalinity and calcium levels have adjusted. If dKH is high and calcium is low, adding only part 2 will tamp down your alkalinity and raise your calcium levels. Once a balance is established, you can expect to add the same amounts of B-Ionics parts 1 and 2 one to three times weekly, depending on the needs of your particular system. ESV’s recommended starting dose is 1 ml. of each component per 4 gallons of aquarium capacity per day. Test daily and adjust dose accordingly. Depending on the degree of calcification occurring in the aquarium, the dose may have to be increased over the recommended starting dose. However, you should not add more than 1 ml. per gallon of each component in a 24 hour period, and never allow pH to rise above 8.45. 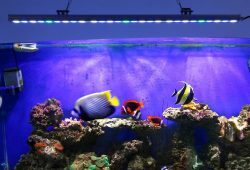 Once the proper dose has been determined for your aquarium, testing can be performed less frequently. 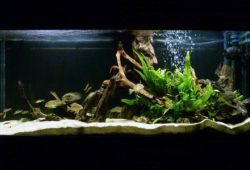 For aquariums that tend toward a high pH (over 8.45) it is recommended that you switch to the B-Ionic Calcium Bicarbonate System. 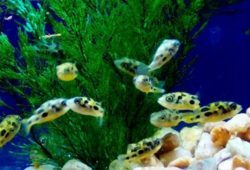 Kalkwasser can be used in addition to the B-Ionic Calcium Buffer System by following the above procedure but starting with 1 ml of each component per 8 gallons of aquarium capacity per day. B-Ionics need a full spectrum of light in order to function properly. Add B-Ionics as early in the morning as possible. Add B-Ionics to your sump rather than to the tank directly, as the product can burn delicate corals in high concentration. Never mix B-Ionics 1 and 2 together. Add Bionic part 1, wait an hour, then add part 2.